GUMACA, Quezon - The 55% of the total medical costs that come from the pocket of a sick Filipino is expected to be lessen by more than half as the passage of Universal Health Care Program (UHCP) in the Bicameral Conference Committee is almost 100% sure. 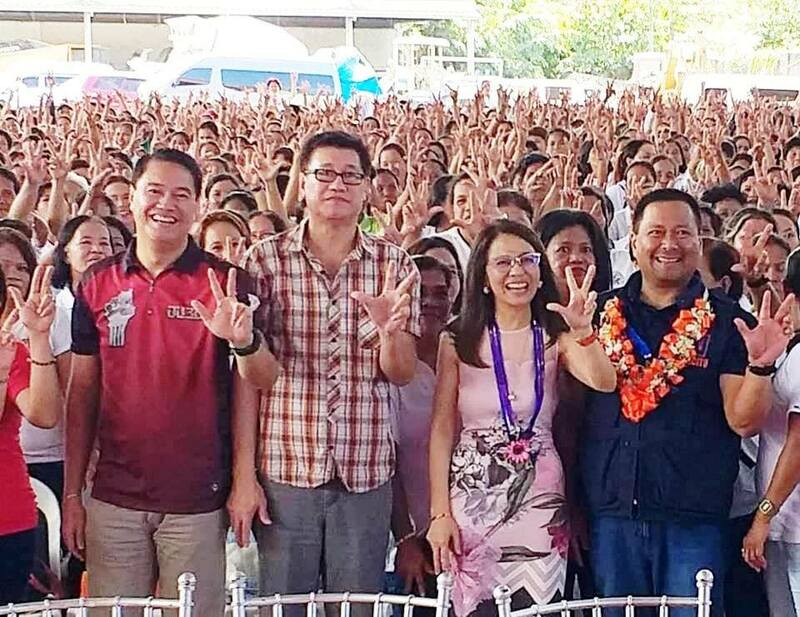 This was announced on Friday by Sen. Joseph Victor ‘JV’ Ejercito during a gathering of around 5,000 strong Barangay Health Workers (BHW) at Bgy. Camohaguin, here, that was hosted by her Quezon Rep. Angelina ‘Helen’ Tan, his counterpart in the House of Representatives, as chair of the Committe on Health. “We are very much optimistic that UHCP will eventually pass in the committee and will be signed into law by President Rodrigo Duterte early next year”, said Ejercito. The senator said a study shows that generally, even there is an assistance coming from some government charitable institutions like the Department of Social Welfare and Development) and Philippine Charity Sweepstakes Office (PCSO), the fact remains that around 55% of the medical expenses incurred will still come from a patient’s pocket. “But with the Universal Health Care Program, things will be different”, Ejercito said. Once the measure is signed into law, Filipinos will automatically be enrolled into a National Health Insurance Program that will give them access to health care coverage and services. Asked about the proposed budget cut of Health Facilities Enhancement Program (HFEP) of the Department of Health (DOH) by the Department of Budget and Management (DBM), Ejercito in an brief interview said it is indeed wrong timing considering that UHCP is expected to be implemented by next year. Ejercito said he and Tan are doing everything in their capacity to make UHCP sustainable once it finally becomes a law. “With the help of Rep.Tan and other supporters in both chambers, we will insist our position on the issue during the budget hearing”, said Ejercito. During the BHW gathering, Ejercito called them as among the country’s “Bagong Bayani” for being the primary health care implimentor despite being over worked but under paid. The Senator vowed to do everything through legislation to provide the BHWs what is due to them.